Day 2 impressed by MasterCard keynote, 130 msec average transaction time and other big numbers. Also cool video from MC about future of retail payments. Healthcare moving to mobility, as we all already know. Again, for BPM, Phil Gilbert performed excellent demo of new IBPM v8, and mentioned 700 people in R&D for IBPM and BPM as future for next 30-40 years (I guess, 20, then something new). What is good – that IBM takes care about UX and new UI looks much better. No long trees – instead stream, timeline and search. No awkward tables – instead lists and inline completion. Mobile App for generic purpose BPM and REST API for the rest (when you need custom UI and mobile features). I took hands-on lab session for BPM and was surprised – it seem to be well designed. Simulation and debugging capabilities – what I miss a lot with Oracle. Discovered that a lot of stuff is already published in redbook From Project to Program with IBM Business Process Manager. And a lot of presenters even used images from the book as slides. There is also 4-hours trial sandbox access for exercising. Human interface development in IBPM reminded me lectures about ASP.NET, MVC and other stuff… Data objects, data binding, events, methods, variables – everything this remains, but with process orientation and enterprise scale. Good abstraction and multiple views to same model could really allow IT and business communicate via BPMN models. BPM dream team – BPM Solution Architect, BA and developers (plus part-time PM and admin). Analytic role is lowered, and good BPM software is produced in pairs of BA+DEV, facilitated by Solution Architect. Regarding if same people who do traditional software could do BPM project – they need to be business focused. Techie (deep technology geek), loner (works alone) or “yes man” are bad candidates for dream team (though could do further routine work). There are 2.5 more days. Stay tuned. The Awesomes. 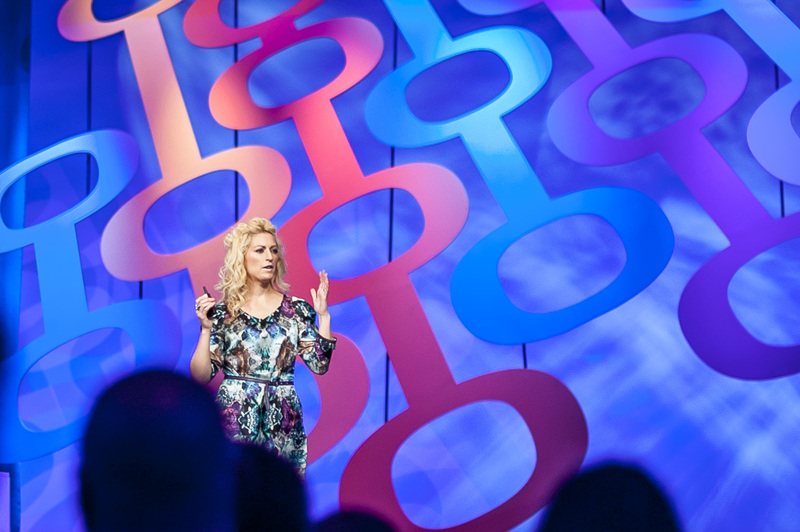 8,500 people around, one of most fabulous places in the world – The Venetian hotel & casino, and what is most important – majority (85%) of sessions are held by IBM customers – in form of case studies and best practices. Not many companies can do such format. Also good news are that there are no surprises – my experience with current IT trends and technologies was just confirmed and deeped. The so-so good. Logistics could be better – for first time visitors simple hotel name is not enough. It took me almost 30 minutes to find conference registration in such a huge area. Second thing – visualization of presentation materials could be better – slides with tons of text remind me famous “death by powerpoint”. The major tagline that I like is “IT used to support business, now IT drives the business”. The keynote start by Walter Isaacson was impressive. Steve’s message “don’t be afraid, you can do it”. Einstein curiosity to compass and magnetic fields. Franklin and his passion in investigating Golfstream. Next series of “case studies” was a little too-marketing. Whirlpool, Ireland Marine, Huntington National Bank, all speakers presented good stuff, but nothing to remember in particular. I respect 100-years old company Whirlpool and use their devices at home, but “made in US for americans” seem to be just to bring more customers. Interesting story from Bank about moving from Oracle WebLogic to IBM WebSphere on zLinux as 70% faster and more reliable. And new WebSphere uptime in 5 seconds and 50 mbytes footprint sounds awesome. Hello, Buon Giorno, Willkommen, Привіт! I’ve just launched the new blog to express my thoughts on effective software designs, patterns and modern trends. This place is also backup for ideas and philosophy I face in daily work as technology consultant and research expert. Stay tuned and expect first posts about enterprise process-driven software, task-based interfaces and … things that make companies and people more productive and happy. And.. some details about who I am. I am Technology Consultant @SoftServe Inc., focused on modern technologies for enterprise organizations. Briefly here. I started dealing with novelty and uncertainty in early 1981, when I was born in the precise middle of hot summer. Then I learned a lot of things in school and went to university, where studied one of most excited and the best computer engineering courses in the region – in L’viv Polytechnic University. Being student, I started to work on several exiting projects – and one of them was adding geo-location to satellite imaginary for government agencies. In 2003 I joined SoftServe, where I went the path from junior software developer to technical leader. I worked in amazing JC and JetLab teams on challenging and unique technology projects – virtualization platform, authentication and single sign-on solution, media delivery platform, huge radiology images conversion software. I studied a lot, in almost all areas that could be studied in IT – programming languages from ASM, C/C++, Java, C# to functional and dynamic languages, leading and managing teams, communicating with customer and bringing all pieces together to deliver solution. In 2008 while SoftServe was transforming to New SoftServe my potential was turned to be targeted whole company, and I became Technology Consulting, and dig into novelty and uncertainty with new wave. Same year I was married to beautiful girl Nataliia ;). From that time at SoftServe I dedicated more time to researches and sharing everything new with company. Now I work on medium and large projects in financing, banking and healthcare, on enterprise architectures and effective IT. In 2011, precisely from my 30th birthday (2 days before, but who count) I started dealing in novelty and uncertainty as happy parent of small beloved daughter Dorothy. When not working, I am fond of digital photography, travel, wild nature and good live music. And I like cappuccino, truffle candies and viburnum jam.